Caitlyn Jenner joins Larry King for an in-depth discussion about her gender confirmation surgery, her sexual orientation, and the status of her relationship with her kids and Kris. Plus, the 'I Am Cait' star on trans rights, and why she's changed her tune about President Trump. Larry King interviews Caitlyn Jenner, an Olympic gold medal-winning decathlete, television personality, and part of the most famous extended family in America. Jenner has just released her book ‘The Secrets of My Life,’ and Larry asks why she wrote it. Jenner talks about the gender dysphoria she’s lived with her entire life, and says she survived with diversions like athletics and family. She reflects there wasn’t a name for it when she was growing up, and they converse about how tough it was for early trans women like Christine Jorgensen, and how it wasn’t the right time back then. Larry asks about Jenner’s past marriages and if she was in love. 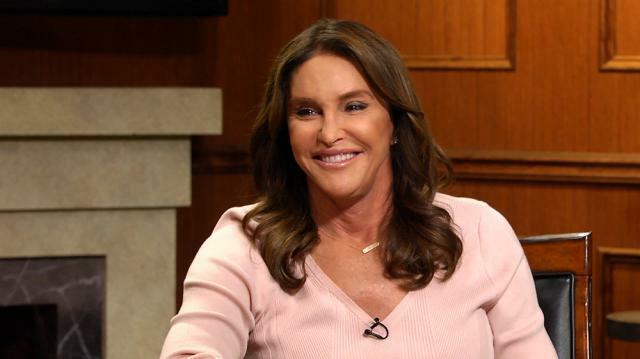 Jenner says she was, and that she was open to ex-wife Kris about her identity issues. They thought they could handle it together, and Jenner believed she would transition before 40, but realized that she and society weren’t ready then. Though Jenner stayed in the background on ‘Keeping Up with the Kardashians,’ her new book shows her story and opinions. Larry asks why Kris is mad about Jenner’s book, and Jenner says that Kris knew about Jenner’s gender struggles. However, Jenner acknowledges perhaps she downplayed her dysphoria to Kris. Jenner reflects on her interesting life as an Olympic decathlon champion and Glamour’s Woman of the Year. Larry inquires if being athletic troubled Jenner, and she says she had identity and dyslexia issues as a child, and found solace in sports. Jenner recounts worrying after her Olympic win that she would be trapped as Bruce Jenner due to her accomplishments. Larry asks for Jenner thoughts on another big name—President Trump. Jenner says she isn’t the huge Trump or Republican Party supporter the media has portrayed her as, and says that her loyalties are to the LGBT community, even though she leans conservative and voted for Trump. Jenner is disappointed with the Republican Party’s work on LGBT issues, which Democrats are currently ahead on. Jenner talks about the progress of the LGBT movement, and explains the difference between gender and sexuality to Larry as: “Sexuality is who you go to bed with. Gender identity is who you go to bed as.” Larry comments that Jenner still has sexual years left, and Jenner laughs about Larry hitting on her. Larry asks about the public reception Jenner has received about her identity, and Jenner says it’s positive. She acknowledges her blessings, such as her great interview with Diane Sawyer, and says she had a terrible life in the years prior due to the paparazzi’s speculation and spying. Jenner mentions her book is dedicated to her brother and father, both deceased. She says her father died before she transitioned, and that her mother was the last one she told about her new identity. Larry conveys some viewer questions, asking how Jenner uses her privileges to help others. Jenner talks about her charity events and the Caitlyn Jenner Foundation, which donates to trans organizations. Larry asks why Jenner has never talked about the surgery, which other trans people he’s interviewed have described as “not as bad as you think.” Jenner confirms that it’s not quite as bad, and says that most trans women don’t have surgery due to the expense, effort, and the fact that they like their old parts. She says that, “What’s between your legs doesn’t define who you are. In reply to a question about a transgender-accepting society, Jenner believes the current society is really close and progressing towards more open-mindedness, though many states still have issues concerning LGBT rights.